While feedback is a key factor for improving student learning, little is known about how students understand and experience feedback within the classroom. This study analysed 193 New Zealand primary and secondary students’ survey responses alongside drawings of their understandings and experiences of feedback to examine how they experience, understand, and respond to feedback. It found that despite New Zealand’s strong commitment to student-centred Assessment for Learning practices, the majority of students still drew, selected, and endorsed teacher-led feedback practices, with pictures dominated by written comments or grades. However, they generally depicted and described this feedback as positive and constructive, suggesting that negative emotional responses to evaluative comments and grades may be lessened if students perceive such feedback will help them improve. The authors acknowledge financial support from The University of Auckland Faculty Research Development Fund grants (#3609273/9215). All data were collected and analysed in accordance with conditions set down by The University of Auckland Human Participants Ethics Committee approvals (HPEC #2008/006, #2008/053). Additionally, we thank the participating students for sharing their ideas about feedback with us. A previous version of this paper was presented to the Classroom Assessment SIG at the April 2012 Annual Meeting of the American Educational Research Association in Vancouver, BC. Brown, G. T. L., Irving, S. E., Peterson, E. R., & Hirschfeld, G. H. F. (2009a). 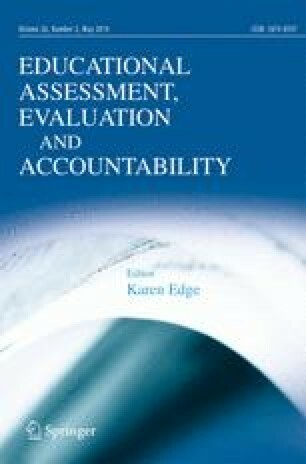 Use of interactive-informal assessment practices: New Zealand secondary students' conceptions of assessment. Learning and Instruction, 19(2), 97–111. doi: 10.1016/j.learninstruc.2008.02.003. Harris, L. R., & Brown, G. T. L. (2013). Opportunities and obstacles to consider when using peer- and self-assessment to improve student learning: case studies into teachers’ implementation. Teaching and Teacher Education, 36, 101–111. doi: 10.1016/j.tate.2013.07.008.